Crispe & Crispe is the oldest continually operating family-owned law firm in Brattleboro, and one of the longest running firms in the State of Vermont. 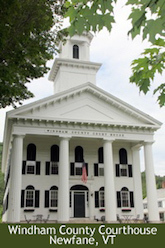 Crispe & Crispe’s historic roots run very deep in Windham County and southern Vermont. We are a firm which encompasses four generations of lawyers from the Crispe family in Brattleboro stemming back nearly a century. 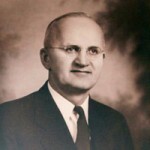 Orrin B. Hughes was the maternal grandfather of Lawrin P. Crispe. He began practicing in Brattleboro in 1914. He went on to become the Chief Judge in the Vermont Superior Court. He served on the bench for 18 years before his retirement in the 1950’s. A. Luke Crispe began practicing law in Brattleboro in 1934. It was Luke who galvanized the law firm Crispe & Crispe as we know it today. Luke was a fiery and passionate trial lawyer who seldom lost. Luke Crispe was also instrumental as a founder of Stratton Mountain Resort in 1960 and active in a multitude of community charities. 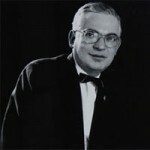 Luke practiced in Brattleboro for nearly 50 years before his retirement in the early 1980’s. He remained Of Counsel to the firm until his death in 1992. Lawrin Crispe, Luke’s son, joined his father at Crispe and Crispe in 1972. Under the tutelage of Luke Crispe, Lawrin quickly became a highly regarded and proficient trial lawyer. Lawrin holds the highest rating afforded by the most widely respected rating service – Martindale Hubbell. Lawrin’s youngest son, Spencer, graduated from Vermont Law School in 2004. In the spring of 2007 he became the 4th generation of the Crispe family to continue the legacy of Crispe & Crispe with his ardent approach to the practice of law. Our areas of practice include: Personal Injury, Accidents, Commercial Real Estate Law, Business Law, Civil Rights, Workers Compensation, Probate, Wills and Trusts. We welcome all phone calls and encourage a free consultation on any matter in which we as experienced attorneys may best serve you.